Put your equity to work! Build your dream kitchen, upgrade your master bath, pay for an education, or get the extra cash you need for any purpose. With a variety of loan options, we have a program to help you achieve your goals and fit your budget! Our Home Equity Line of Credit offers flexible loan amounts and repayment terms, which can make this a smart time to take advantage of a promising opportunity, tackle a new project, or simply consolidate debt. Please DO NOT enter confidential or account-specific information in this form. *Annual Percentage Rate (APR). The 2.75% APR is effective as of February 20, 2018. After the 12-month fixed rate period, the rate will change to a variable rate tied to the current Wall Street Journal Prime rate. A $50 annual fee will be charged after the first year. Maximum Loan to Value (LTV) ratio of 85%. Minimum rate is 2.75% APR. Maximum rate is 18.00%. No closing cost. Minimum borrowing amount is $10,000. 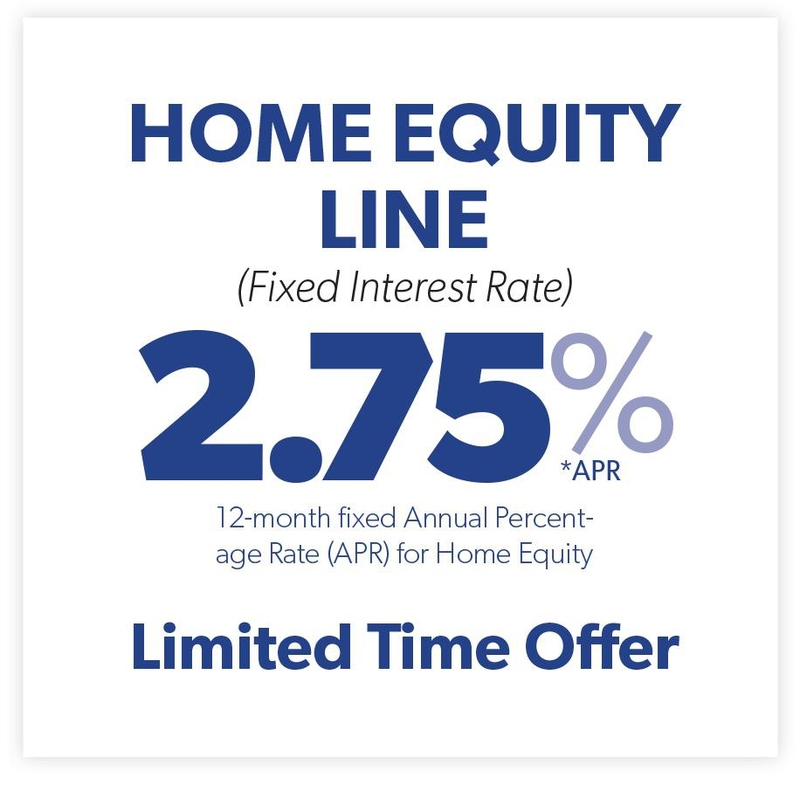 Offer available on new home equity lines of credit only. The home must be owned and must be the applicant’s primary residence. Consult your tax advisor for deductibility of interest and fees. Offer is subject to change. All loans are subject to credit approval.